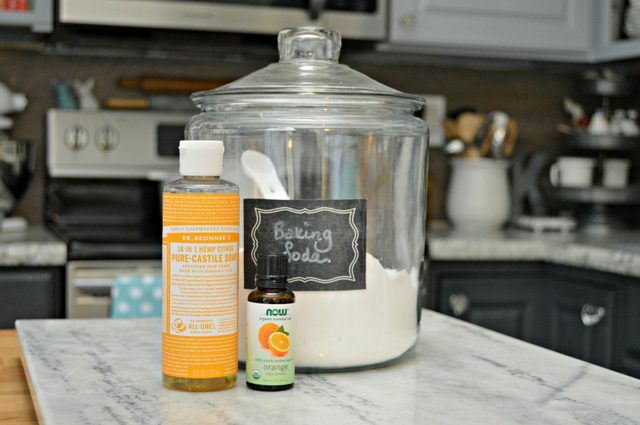 This Homemade Soft Scrub Recipe for cleaning sinks and bathtubs packs a powerful punch without toxic ingredients. 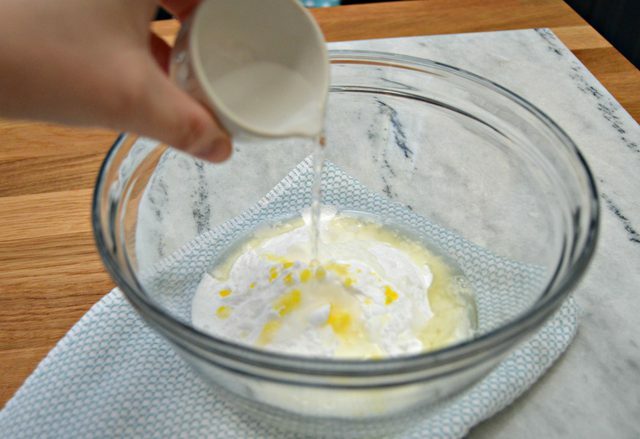 You only need 3 ingredients and a little bit of water to make your own! This post contains affiliate links, which means if you purchase a product via one of these links, I will receive a small commission. 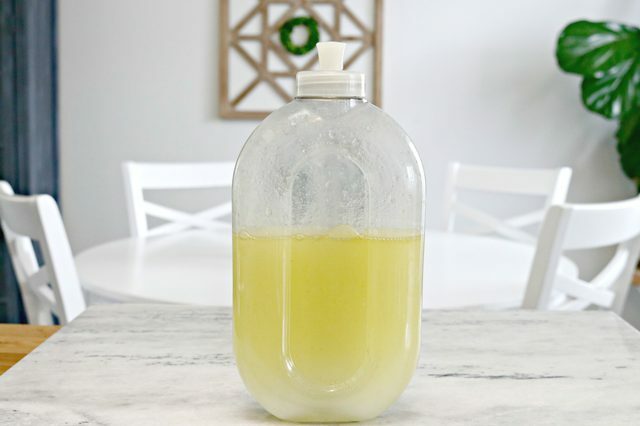 I’ve been making my own cleaning solutions for years, and this DIY Soft Scrub is one of the most versatile cleaners I’ve ever used. It works great for cleaning sinks, bathtubs and even burned pots and pans, and isn’t abrasive at all. No worries about scratching your surfaces with this amazing cleaner. It’s a really strong cleaner, but made with gently, non-toxic ingredients that cut through grease, stains and food. 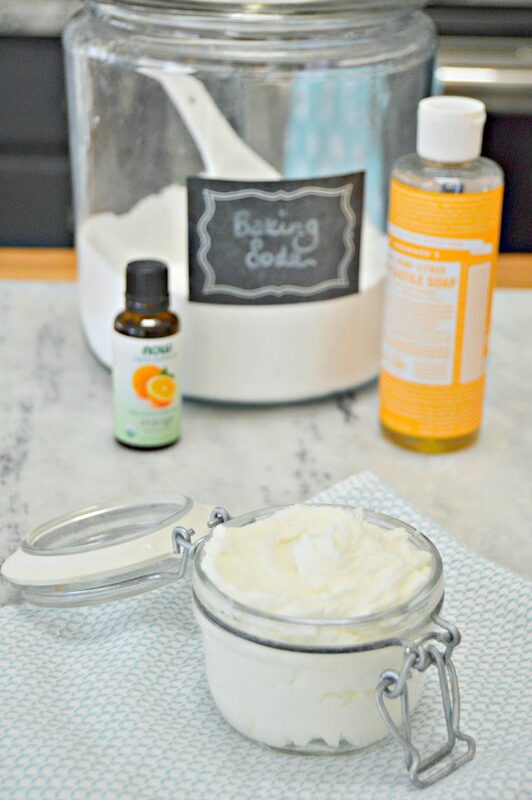 What’s in DIY Soft Scrub? 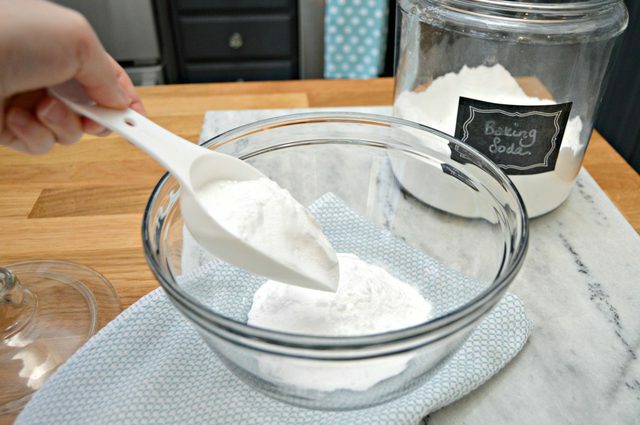 Step 1 – Add 1 cup of baking soda to a bowl. Step 3 – Add 15 drops of orange essential oil. 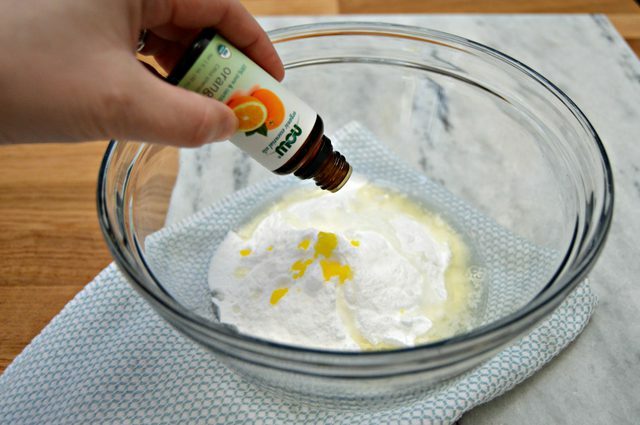 If you prefer lemon, you can use lemon essential oils instead of orange. They both have amazing stain lifting and grease fighting power. 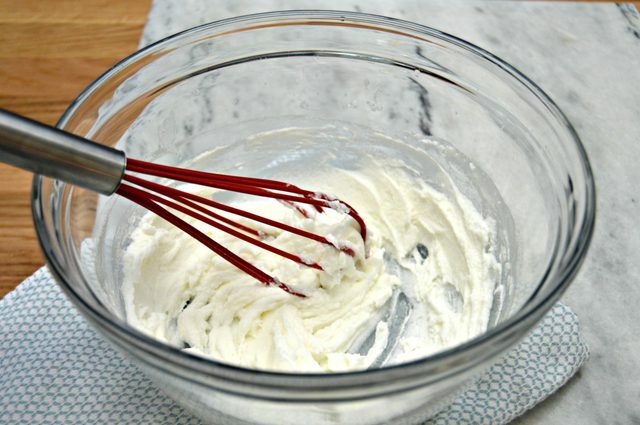 Step 4 – Add 1/4 cup of water. 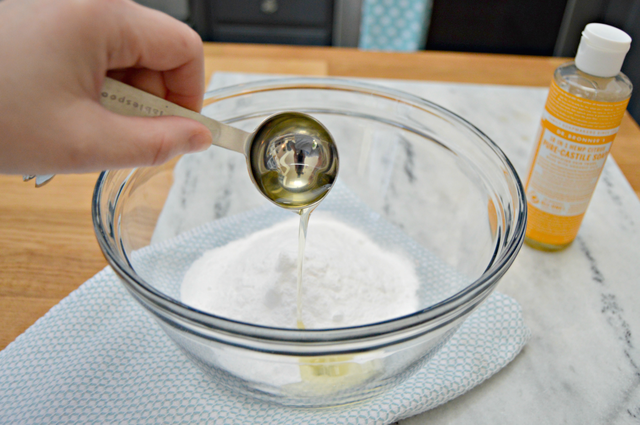 Step 5 – Stir ingredients together and store in an airtight container. 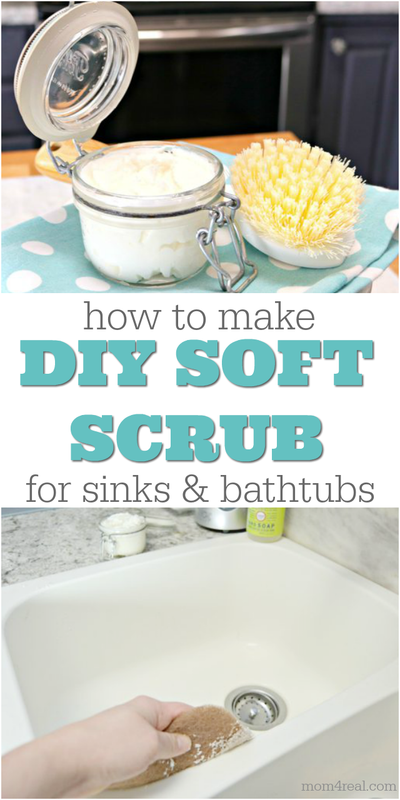 Dip a scrub brush or scrub pad into the soft scrub. 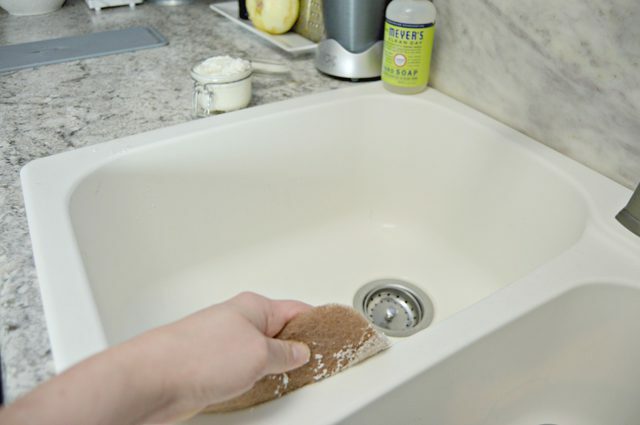 Scrub your sink, bathtub or posts and pans in a circular motion and rinse well! I’ve used this soft scrub for the past couple of years, and it’s so amazing. 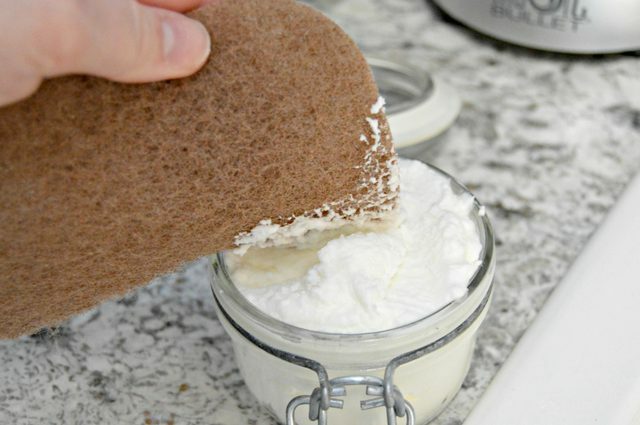 It will even remove scuffs and coffee stains from dishes, and can also be used to clean toilets. It’s definitely an all-star in the cleaning department! 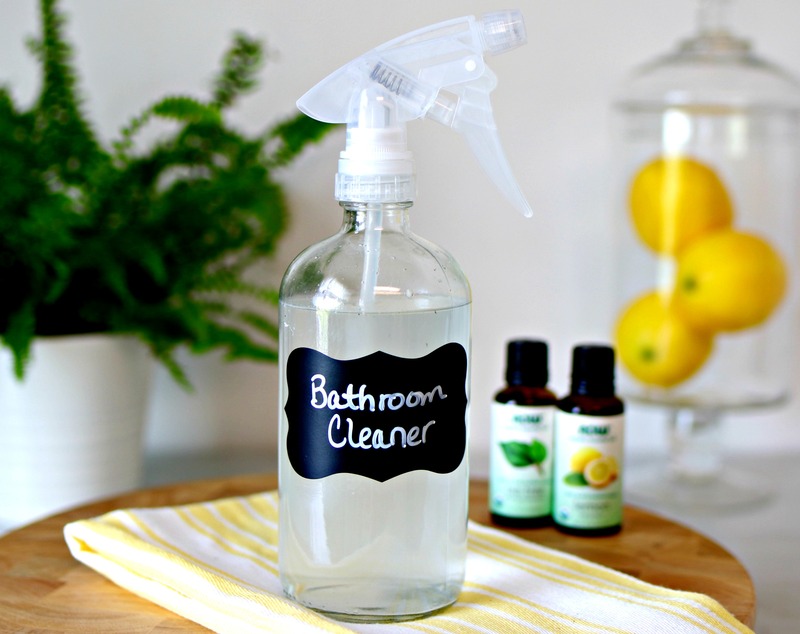 Add my go to DIY Bathroom Cleaner and Disinfectant to your cleaning caddy and get rid or germs and odor causing bacterias in your bathrooms! 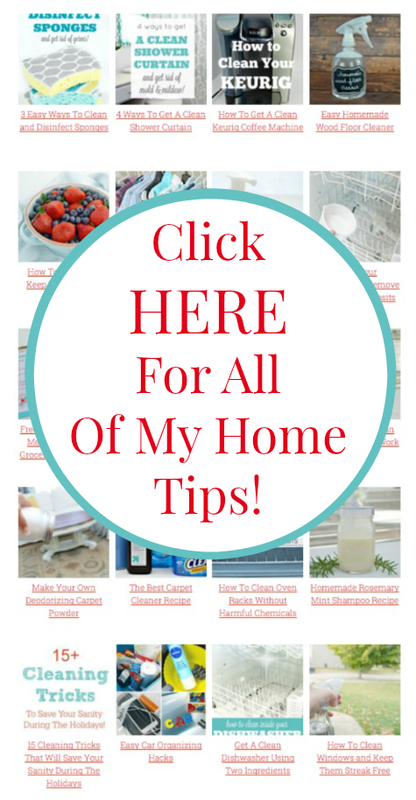 Get your wood and laminate floors clean safely with this DIY Wood Floor Polish/Cleaner!